Choosing a contractor to complete your roofing or siding project can appear like a daunting task. We’ve all heard nightmarish stories where homeowners didn’t get the quality product and experience they paid for. You worked hard to own your home. The best thing that you can do is educate yourself. Here are some guidelines for choosing a siding or roofing contractor who is going to work hard for you and protect your investment. Begin by asking yourself questions about your project. What is the price range to complete projects like yours? What is the timeframe for a project like yours? When do I need an experienced professional? What permits, if any, are required? How do I know my project is going smoothly? How do I know that I’m getting a quality product? The next step is to find a reputable contractor. Ask family, friends, and neighbors who’ve had the same job done. If they can recommend their contractor, add that contractor to your list. You can also use provider-listing websites which have a consumer-friendly business model. For example, take precaution with sites that focus on contractors who pay them for higher placement in searches. 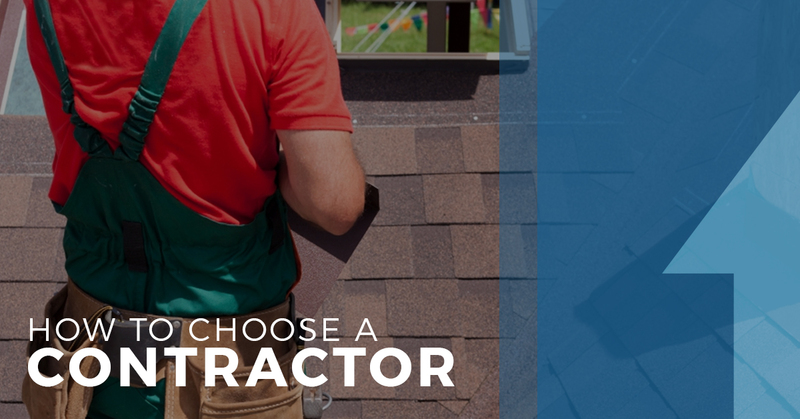 Such practices may not paint a complete picture of your best options when it comes to choosing a roofing contractor, for instance. You should feel confident about your choice of contractor. After you have your list, begin interviewing contractors in person or over the phone. An honest, experienced contractor will take the time to answer your questions. Is the contractor insured? If the contractor isn’t protected, neither are you. You could be liable for accidents that happen on your property. Never hire an uninsured contractor. And Don’t take their word for it. Ask to see copies of their insurance and workers’ compensation certificates. Verify that the effective date is through the duration of your project. Is the contractor licensed and bonded? Many states require licensing for certain types of work. Review the Department of Industry and Labor’s site at http://www.doli.state.mn.us/ for more information on licensing in Minnesota. Is the contractor committed to education and safety? A good contractor will be able to explain their safety program to you. This shows their dedication to protecting your home and their workers. Also, what types of other training do the contractor provide for its workers? Do they support certification and continuing education? A contractor that educates its employees is dedicated to quality. Does the contractor offer a warranty? Supplies that contractors use to complete your project are usually warrantied by their manufacturers. But this means that that manufacturers stand behind their products if they’re defective, not always the contractor’s installation. Look for workmanship warranties that the contractor provides. This helps you to determine how much they are willing to stand behind their work. Is the contractor affiliated with any organizations? Many industry organizations have codes of conduct their members must abide by. Good contractors will be a part of one or more local, state, or regional association. This also lets you know that the contractor stays up-to-date on developments and issues related to the industry. Is it detailed? It should contain a detailed outline of what the contractor is going to do as far as any removal, demolition, and construction. This outline should include the names of the specific brands and finishes. Is the price fixed? Make sure the contractor won’t charge more than the quoted price unless there are changes made to the job’s specifications. Make sure that for any changes which increase cost need your approval. Also, find out whether the price includes any indirect costs such as for permits, dumpsters, rentals, etc. Is there a timeline? Start and completion dates should be included in the proposal. If the completion date cannot be determined exactly, the proposal should provide an estimated timeframe. Once you’re ready and you’ve decided on your contractor, go forward and sign the contract. At UpWright, we know that you’re making a significant decision. At the end of the day, what matters most is that you and your contractor both know that you deserve the best. The good new is that if you’re considering your options for roofing companies or siding contractors, UpWright can handle your job and make sure that it’s done the right way. Contact us today to get a quote!